Food Panda launched The Good Food Tour with the goal of showcasing the specialties of their partner establishments. As the name suggests, they form a “tour group” that hops around different restaurants to be served their best dishes. They have done this in Hong Kong, Singapore, and now in the Philippines. As for their 3rd event here in Manila, The Foodie Station was invited to join the Good Food Tour – Pizza Edition. 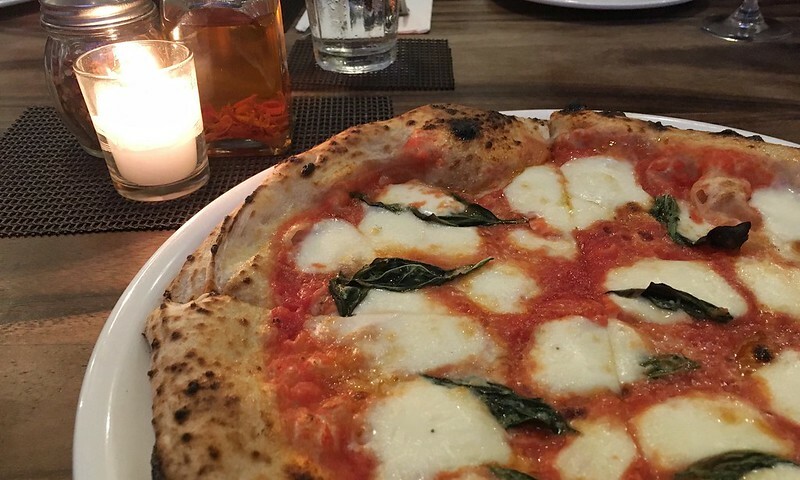 Together with other foodgrammers, bloggers, and social influencers, we went around Bonifacio Global City in search for the BEST PIZZA in the area. The Food Panda team brought us to 3 different restaurants, which served their star pizza dishes, among others, and boy did we go home with full tummies. Quite a treat, right? So all you pizza lovers out there, be ready to crave for that bite of pizza heaven as we share with you our favourites from this Good Food Tour experience. 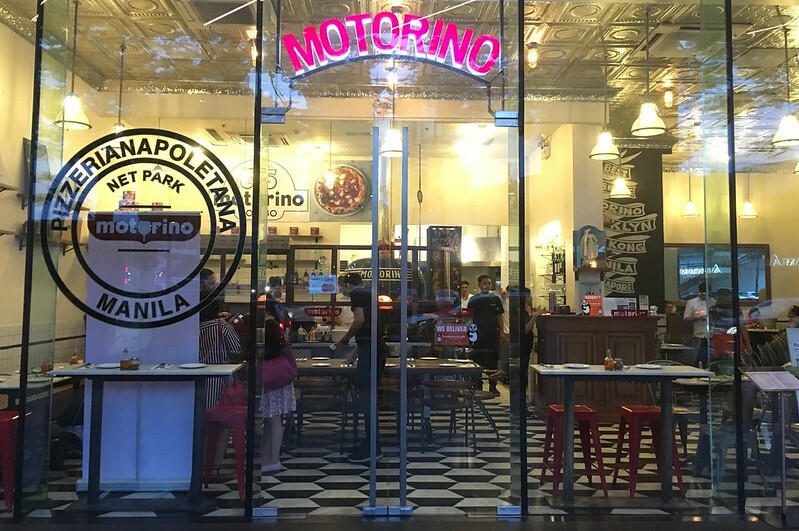 From the streets of Brooklyn NY, Motorino is now in the Philippines with 3 branches around the metro. First thing that came to mind upon stepping inside the resto? Loooove the interiors. It has that neighbourhood pizzeria vibe with the black and white palette plus a big oven welcoming its guests screaming EAAAT PIZZZAAA. 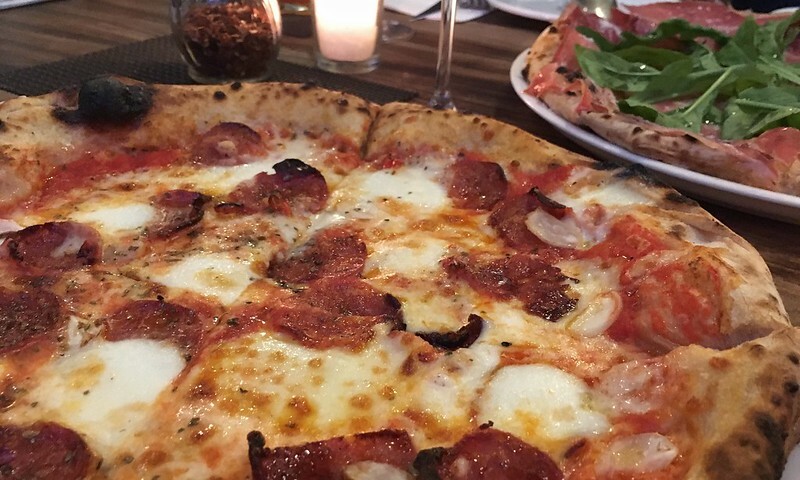 Motorino offers varieties of both tomato and cheese based pizza to satisfy different tastes and preferences. 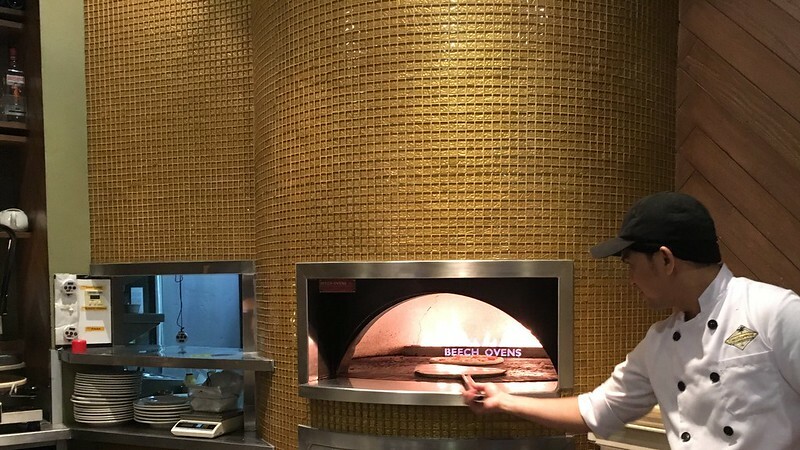 The soft, chewy crust topped with simple but quality ingredients is baked in the big, hot oven creating a charred effect around the pizza giving it texture and a bit of bitterness. A best seller for meat lovers. This tomato based pizza with a kick is topped with spicy soppressata, fresh chilies, garlic oregano, pecorino, and drizzled with EVOO. Not really into much heat? Do away with that hot sauce as this pizza already gives that mild spicy taste you’ll need. If you like a tomato based pizza without the meat, this is the recommended flavour for you. 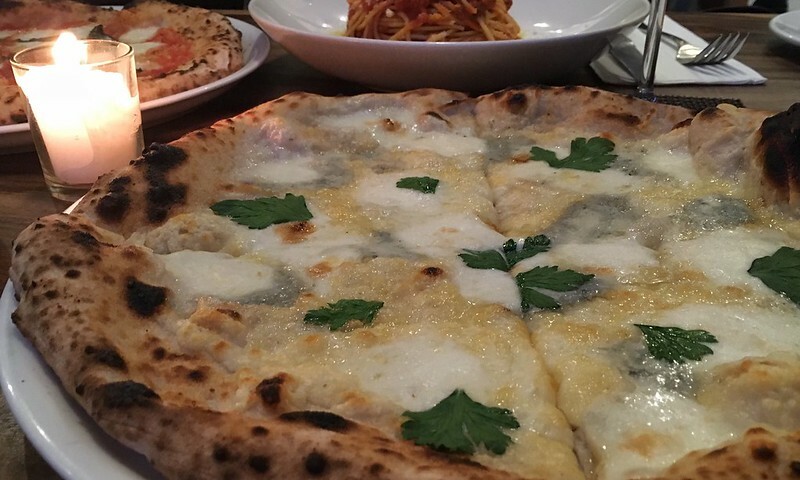 Topped with fior di latte, basil, pecorino and EVOO, this has been the resto’s vegetarian favourite. Who does not love cheese? 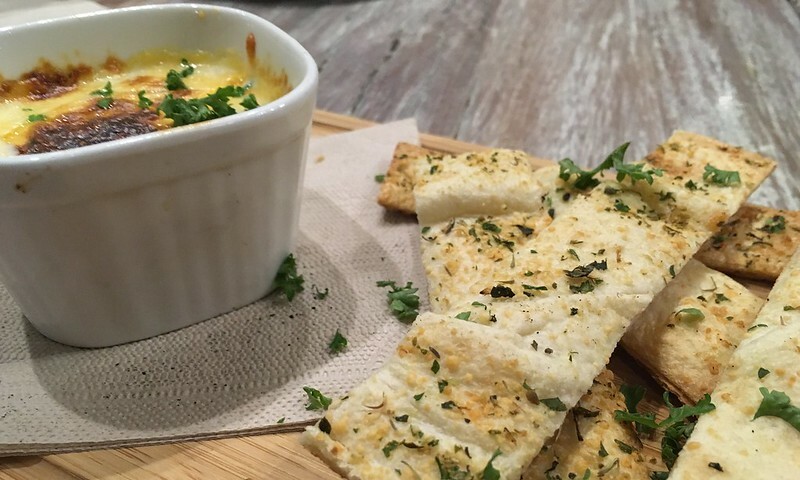 Not much to be said but every bite is like a cheese lover’s heaven! 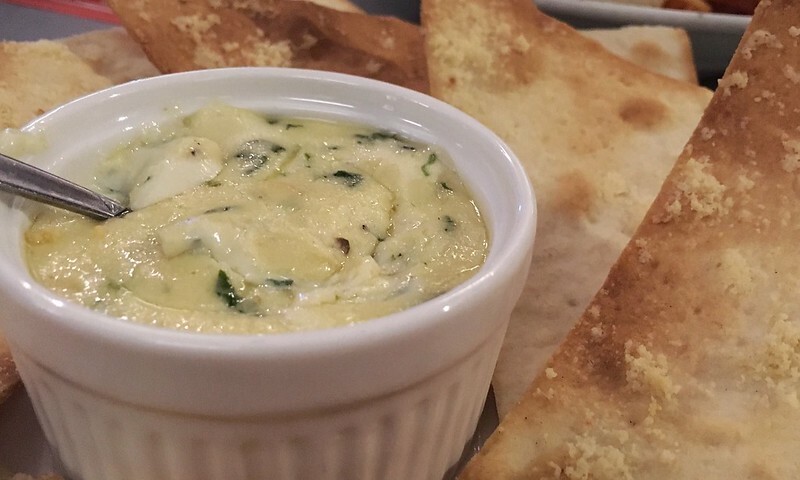 It’s a mix of for di late, pecorino, gorgonzola, and provolone melted to perfection giving it an almost liquified finish. A popular flavour available in almost all pizza restos! 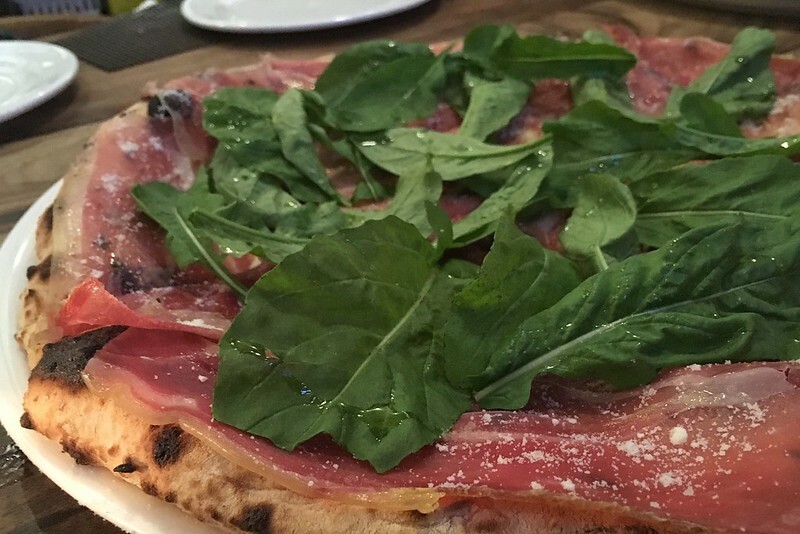 This pizza is topped with prosciutto and fresh arugula to balance the salty taste. 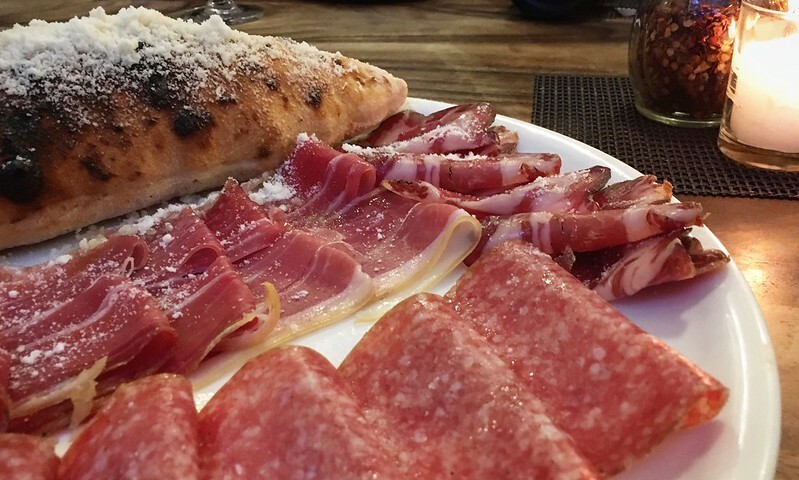 Although a bit too salty, the prosciutto is definitely a must try. 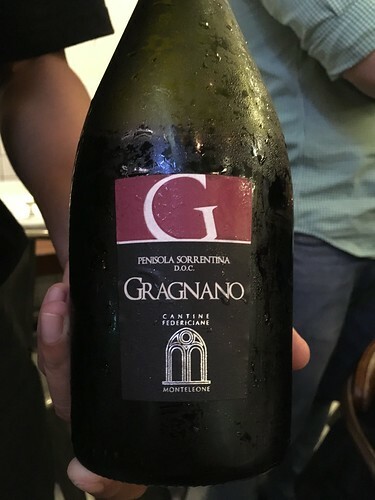 We were recommended to pair our pizza with a glass of Gragnano, referred to as “the perfect pizza wine”. If you like sweet wine, you’ll find this as the top choice though some would still prefer a bottle of cold beer. Cheers! For a night out with friends, try this platter of different cold cuts (salami, copper ham, prosciutto) and bread as a starter. Best enjoyed with a glass of wine. 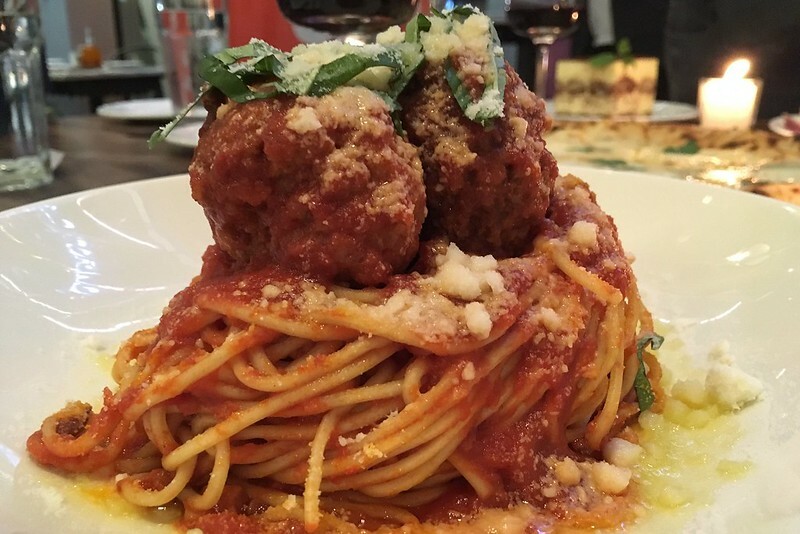 If you are dining with kids, the Classic Motorino Meatballs pasta is a good choice. 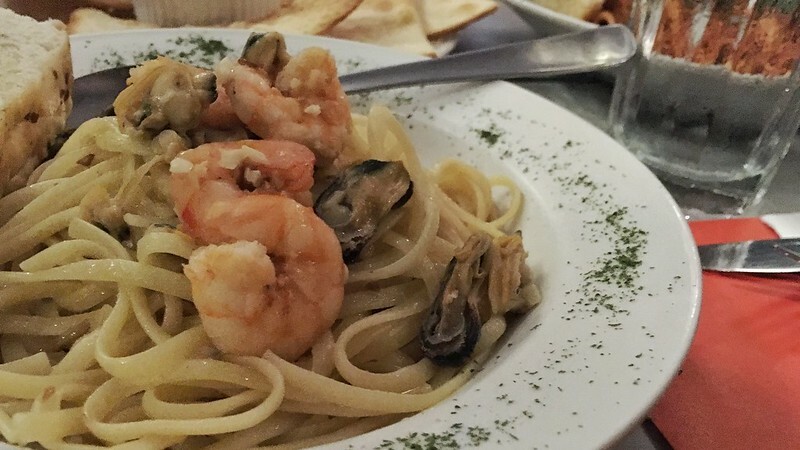 Otherwise, we prefer the Alfredo with Prawns for the white sauce option. 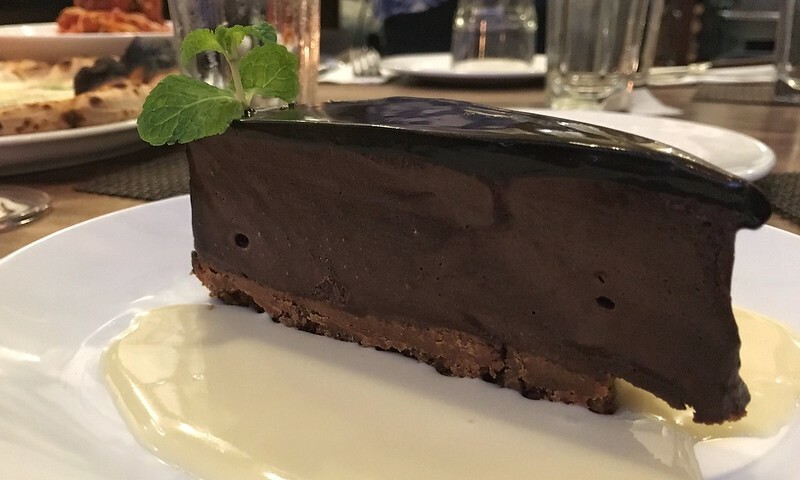 We fell in love with their home made Torta Al Cioccolato with Cream Inglese. It had a bittersweet taste and was served over white cream for an even creamier finish. 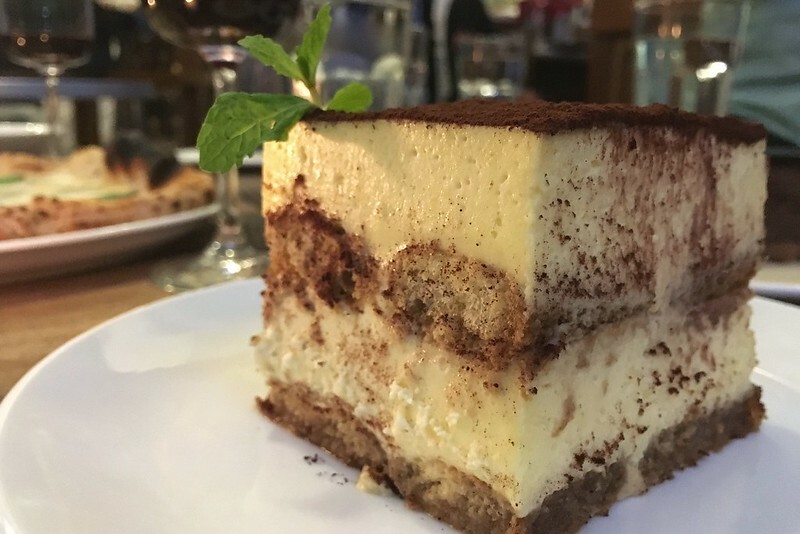 Heard good reviews about the Tiramisu and we will definitely come back to try that one. 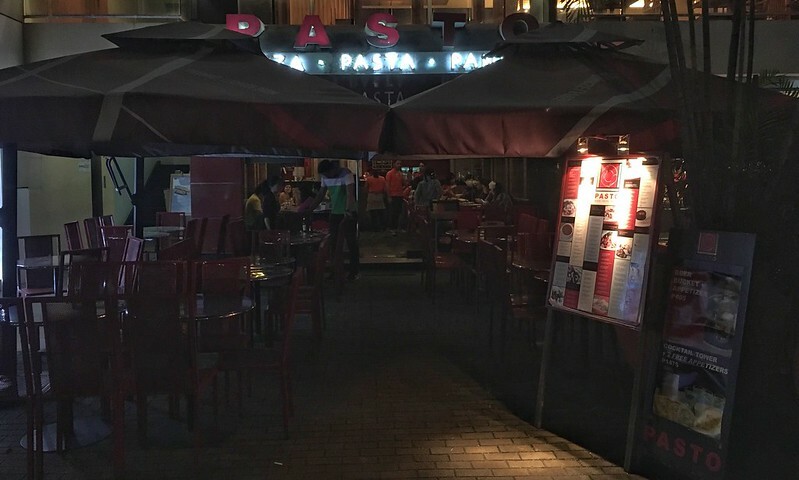 Pasto is one of the oldest restaurants in BGC. 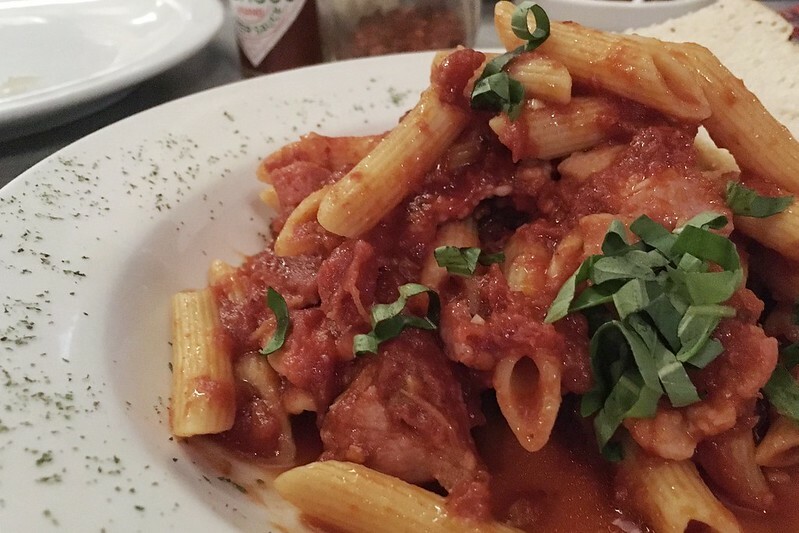 This Italian restaurant opened its doors 15 years ago, even before The Fort became the “IT” place and outlived most, if not all, establishments in the Fort Strip area. 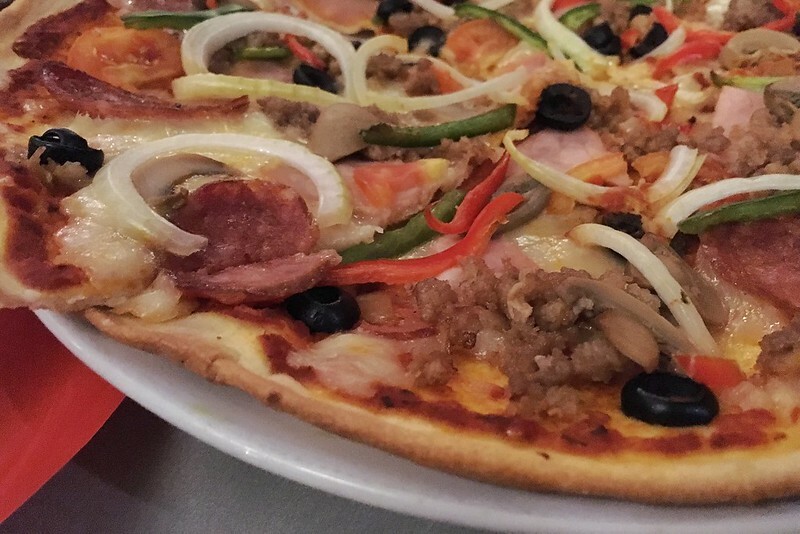 It has been a while since we last visited Pasto so we surely looked forward to taking a bite of their thin, crunchy pizza. Nowadays, most expect restaurants to offer savory selections and serve food rich and bursting with flavor. So when we tasted Pasto’s uncommonly mild and lightly seasoned dishes, we realized that after all these years, they have maintained the traditional way of serving Italian food which is characterised by its simplicity. 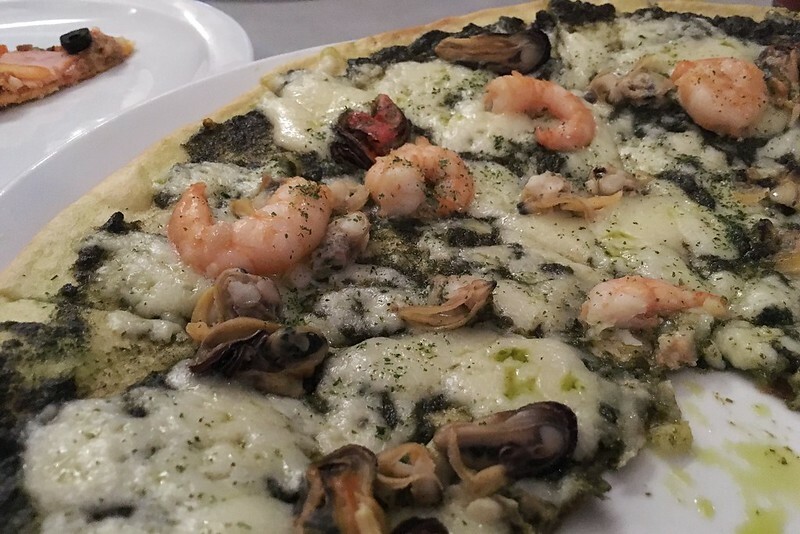 They served the Bianca, a pesto based pizza topped with assorted seafood, Prosciutto Cotto with smoked ham and fresh arugula, and their best seller Pasto Pizza with everything on it including Italian sausages, pepperoni, smoked ham, onions, tomatoes, bell peppers, mushrooms, and olives. Not really a fan of salty food but it wouldn’t hurt if they added a pinch of salt to their pizzas, if badly needed. They brought out 2 of their best selling pasta dishes: Frutti Di Mare for olive oil based and the Arrabiata for red sauce. 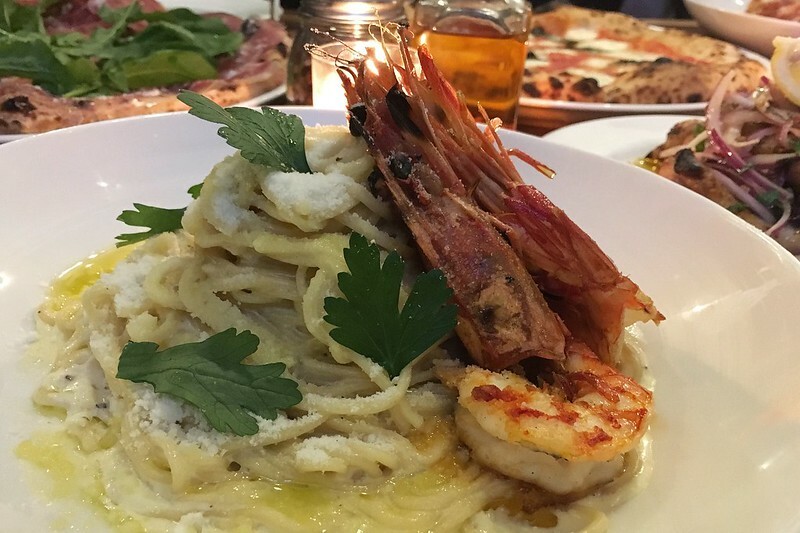 The Frutti Di Mare, an olive oil based pasta with assorted seafood was packed with shrimp and mussels, but somewhat lacked the briny taste of the sea we were hoping to experience. The Arrabiata was mildly spicy with shredded smoked bacon. 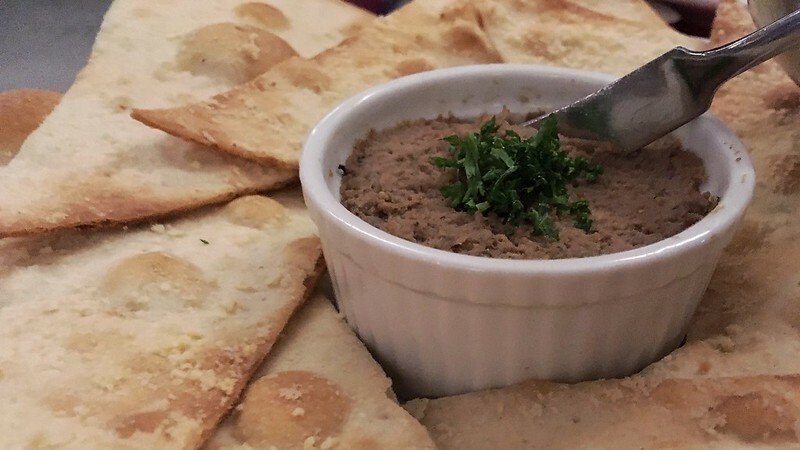 The Crostini was a hit for the group and the Pomodoro Salsa, Chicken Pate, and Spinach-Gorgonzola dips were crowd favorites. From the name itself, we quite expected that this restaurant first opened in Beverly Hills, California. From 1985, CPK has then opened branches in different parts of the US. Reading about the restaurant’s history, it was a delight to know that the first branch they opened outside the US was in Glorietta mall in Makati. Not really sure where to start as everything they served was on point. This may be our last stop but this will definitely not be the last time we’ll visit this place. All three Good Food Tour stops served their own versions of the prosciutto pizza but this was by far the star of the show. 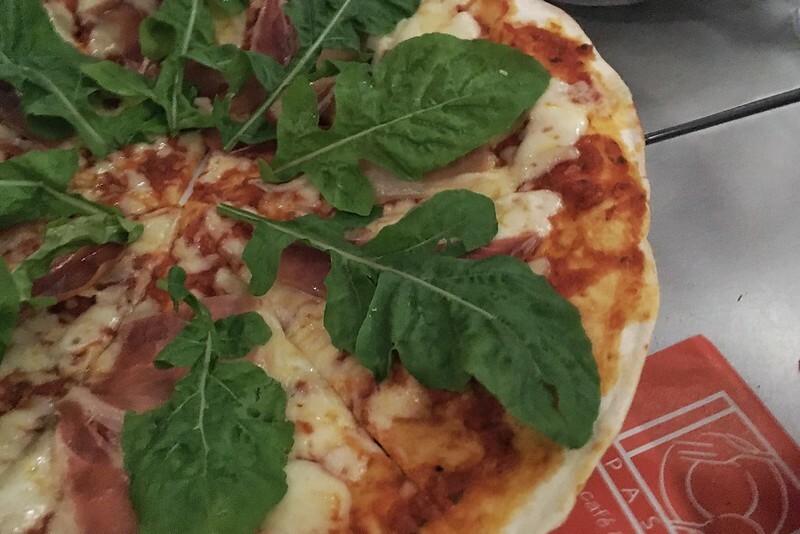 CPK’s version was oven baked creating that caramelised effect on the thin crunchy crust. The prosciutto itself had that right saltiness topped with fresh arugula and tomatoes. 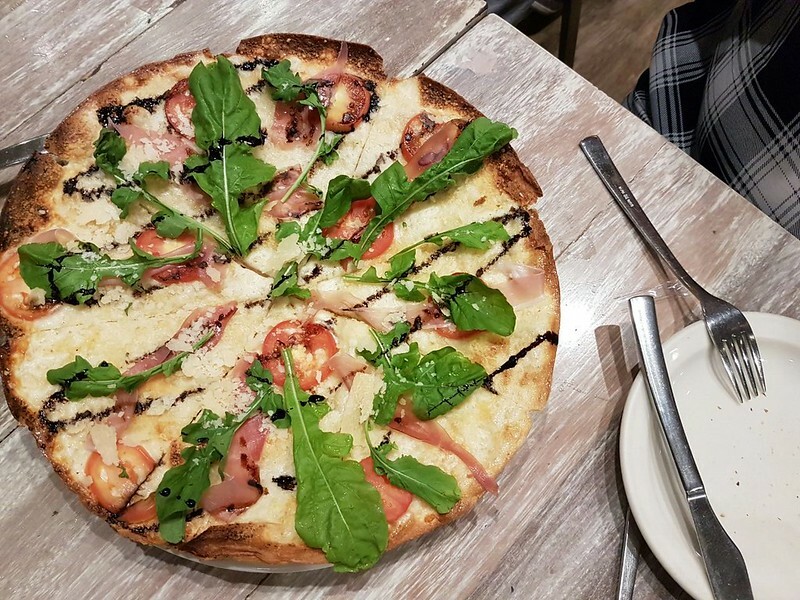 To further elevate the taste, they drizzled the pizza with reduced balsamic vinegar, giving that sweet and savoury taste making you want to get another slice! 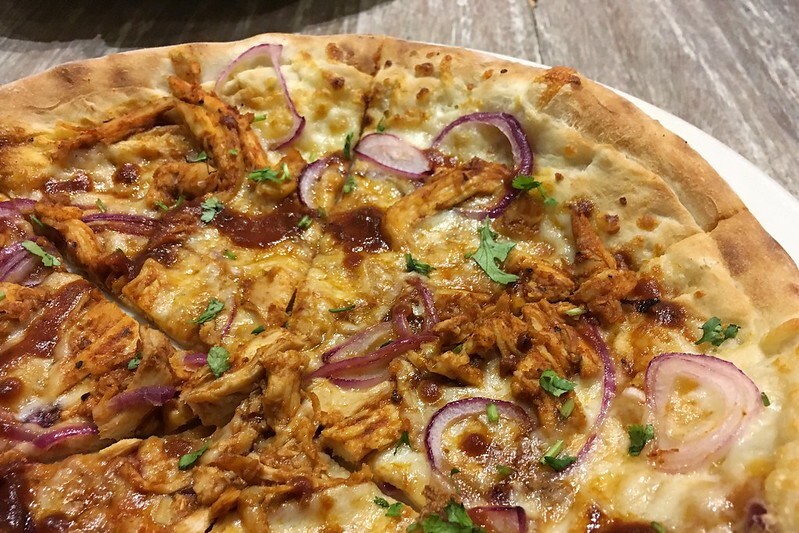 A signature flavour in the CPK kitchen, the BBQ chicken combination has been an all-time best seller. You may choose to have this variety in the form of salad, nachos, and even pizza. Just imagine those chunks of white chicken meat, zesty red onions, and melted gouda with that tangy barbecue sauce spread evenly on the crust. It’s the perfect combination of zesty and tangy flavours that both young kids and the young at heart will love. Oh yes, you got it right! 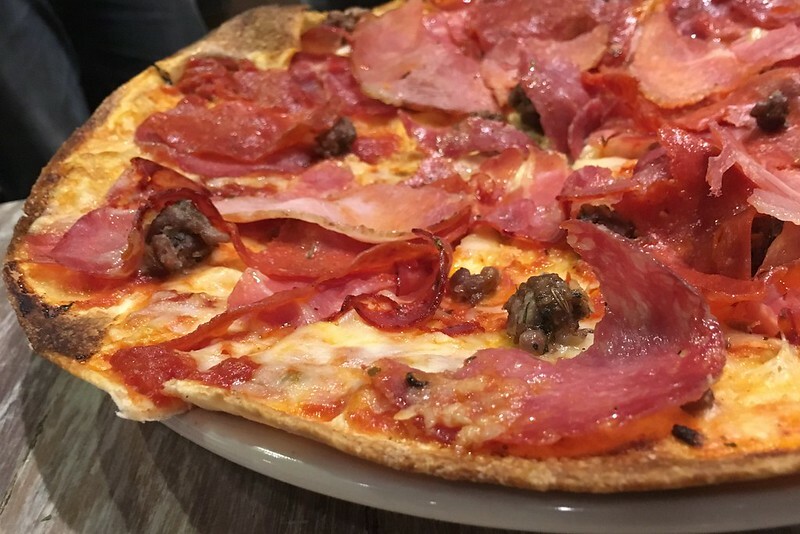 This Macho Pizza is definitely loaded and a meat lover’s dream: crunchy crust topped with sausage, pepperoni, smoked ham, capicaola ham and salami. They definitely did not scrimp on meat. 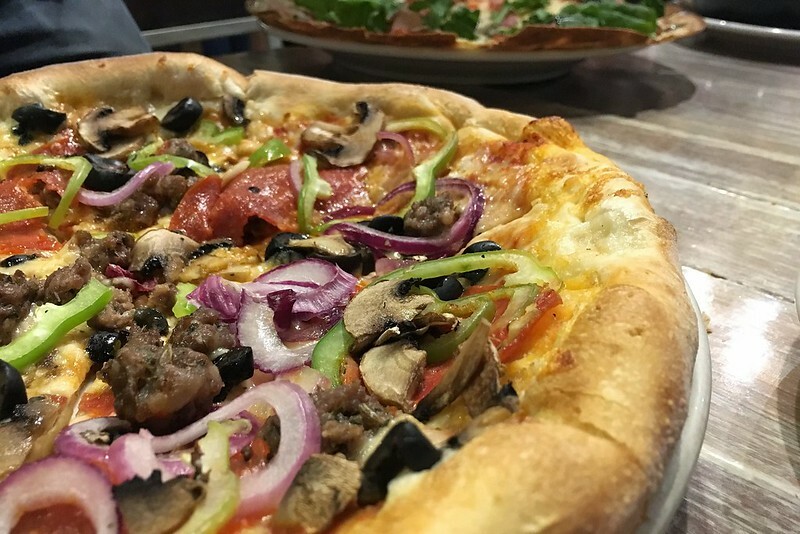 The Works Pizza is a must try, with spicy Italian sausage rustic pepperoni, mushrooms, mozzarella, onions, green pepper, olives, and oregano. A combination that we simply cannot resist. Obviously, we loved their pizza but the other dishes that came out of the kitchen did not disappoint either. 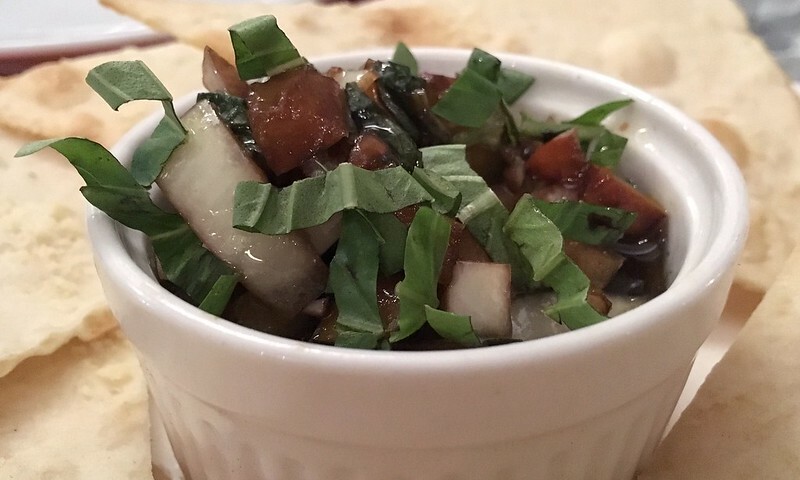 Here are the items that The Foodie Station cannot stop raving about. Cheese, cheese, cheese, and cheese! Best eaten right away, this combination of mozzarella, quesadilla, smoked gouda, and veveeta cheese with strips of flat bread is an awesome starter. 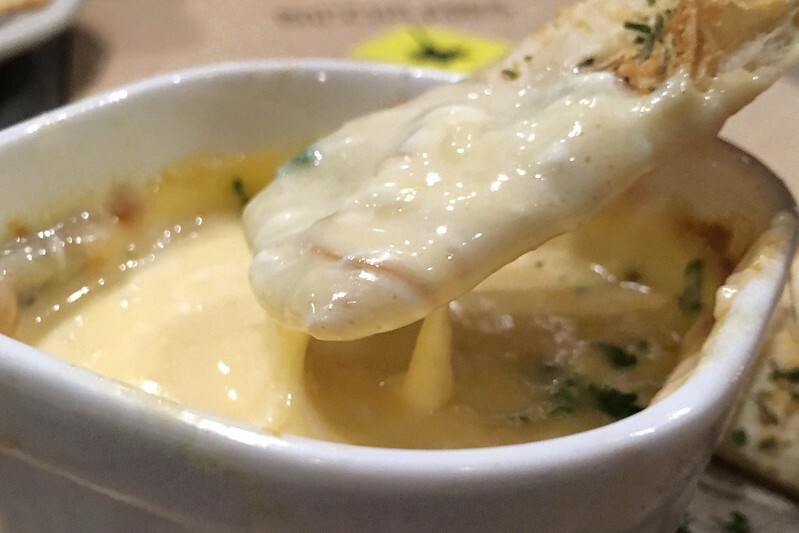 Dig in immediately into that bowl of hot cheese to enjoy a dripping cheese sensation. You won’t have much time to take pictures though as the cheese quickly hardens as it becomes cold. 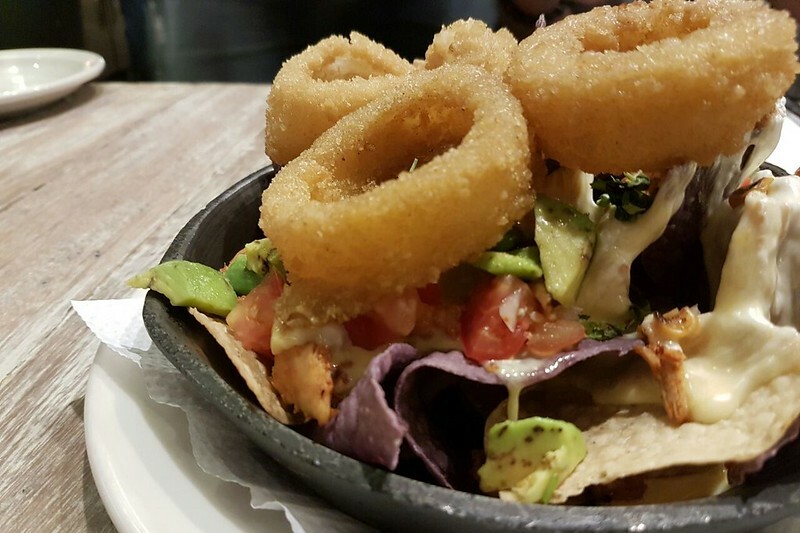 This not so ordinary finger licking treat is topped with tomatoes, avocado, crunchy onion rings, cheese, combined with the sweet, tangy bbq chicken chops. It brought nachos to a whole different level. More please! 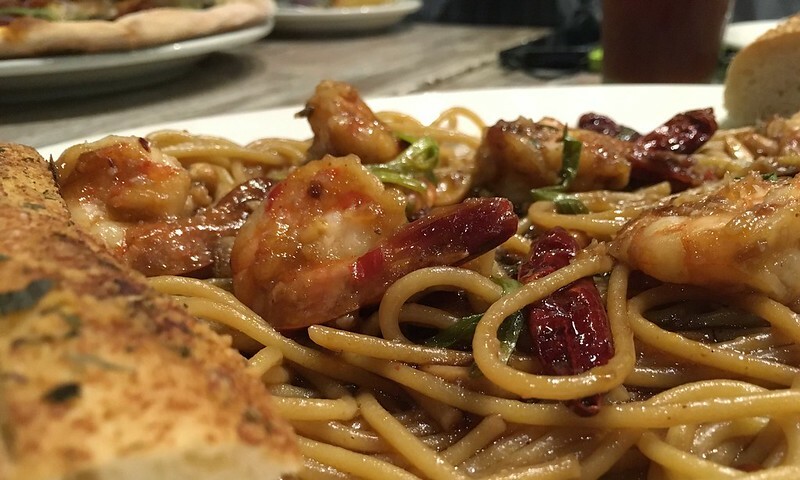 CPK is known for this Chinese inspired classic with garlic, scallions, peanuts, and red hot chilies. It has a bold, sweet, and unique taste that other restaurants want to similarly capture, only to end up copying that sweet and peanut-y combination in a bowl of gorgeous pasta. The two desserts we tried at the end of the meal were so rich and yummy that we couldn’t care less about our calorie intake for the night. 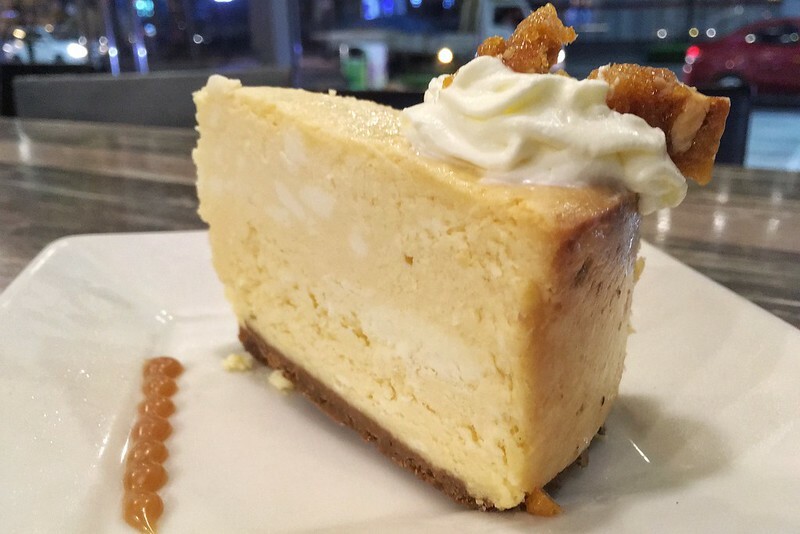 The Queso de Bola Cheesecake was without a doubt one of the best cheesecakes we have tasted. The richness of the queso de bola made all the difference and the texture was solid and intact but at same time crumbly and moist. It was the perfect combination of a sweet and salty delight. The Salted Chocolate Cake was heaven in the form of a dessert. 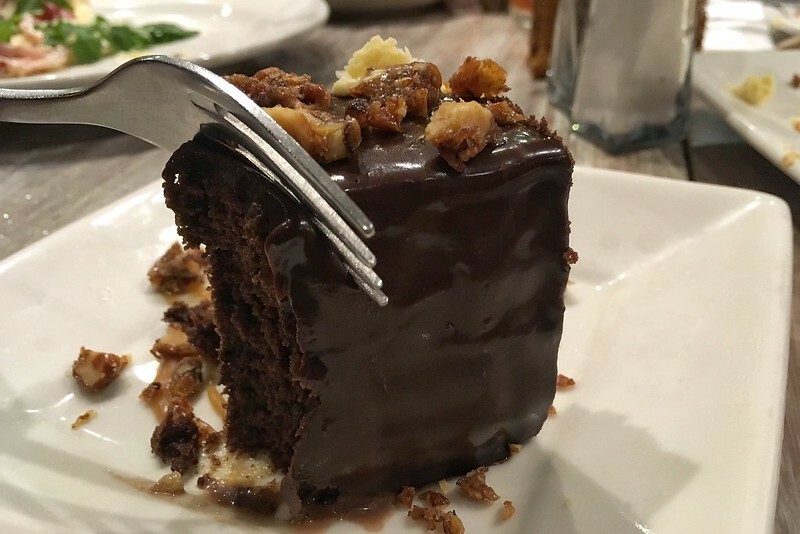 Every bite of the dark chocolate treat with the sweet caramel and candied walnuts ended the night with a blast and gave us a lasting impression that with CPK, a slice of chocolate cake is never a mistake. A big thank you to our friends from Food Panda for this giving us the chance to join this pizza tour around BGC. Always a delight collaborating with you and looking forward to more food tours with the group!